"Create and build your own roller coasters and theme parks!" 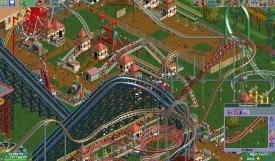 A classic game of building rollercoasters and creating your very own theme park. The graphics are a little shaky and make this game look somewhat dated and it can be a little hard to figure out where to click at first to because there is a ton of options, you can put in pre-designed rollercoasters or create your own,, although the construction of your own rollercoaster can be a little tough at first it’s very satisfying when it comes to completion and you can open it up to the public. There is so many little details in this game and for the megalomaniacs amongst us you will enjoy this game, creating something from scratch and watching it grow in to fully functioning and successful theme park, Roller Coaster Tycoon 2 demo is a lot of fun and very addictive, if you can get over the pixelated graphics then it’s very very enjoyable, but beware you may pass hours playing this, as every time you create a great theme park then look back and think ah I should have positioned this better in the first place, or wait I shouldn’t have put the candy floss stand right next to the dodge ‘ems. 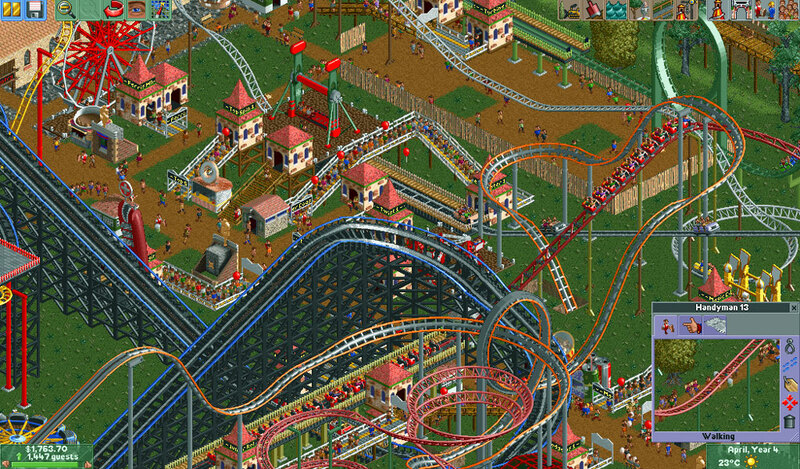 Once you get in to the swing of Rollercoaster Tycoon 2 is very playable and enjoyable.